Camille is a popular fashion blogger. Because of her follower base and her positive attitude a fashion magazine asks her to go on a trip to Costa Rica. It's an eco-trip and the magazine will pay for everything. She has to write an article and make some videos and a photographer will be joining her to take a lot of photos. There's one rule, Camille won't have any access to her phone or internet. She has to go off the grid for the duration of the trip. Will she be able to have a good time while being so far away from home without the means to contact anyone she loves? 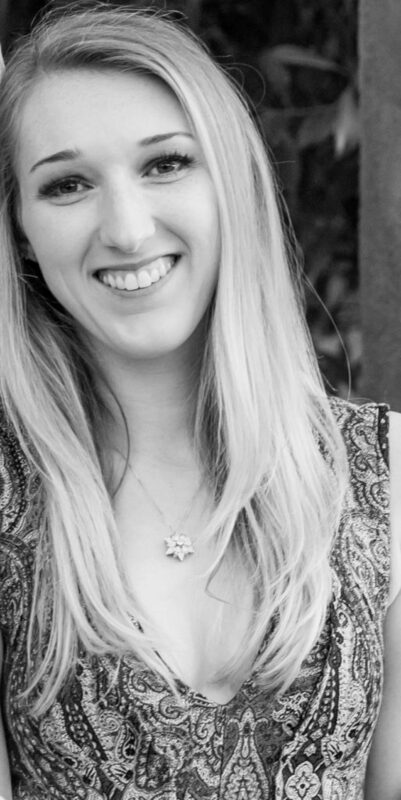 Kenzie Hart's beautiful descriptions of Costa Rica are spellbinding. They're making her story come to life in a wonderful way. I was impressed by the gorgeous detailed way she writes about nature and the way to preserve it. I felt like I was on a journey with Camille and Adam and that was entertaining and enjoyable. 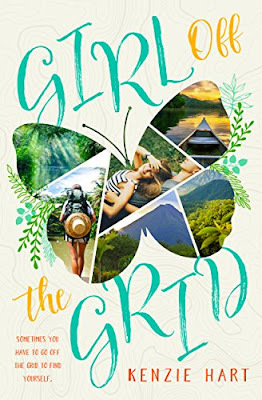 Girl off the Grid is a wonderful story about finding yourself, facing your fears and being kind to the environment you live in. It's an endearing feelgood story filled with fabulous adventures. If you love travel themed YA you should definitely read Girl off the Grid. Kenzie Hart recently graduated from the University of South Florida—St. Petersburg with a degree in Interdisciplinary Social Sciences: History and International Studies. She loves to travel and read, and lives in Florida with her adorable Maltese puppy, Ace. She is currently planning her next travel adventure. One very Lucky reader of With Love for Books will receive a paperback copy of Girl off the Grid. Girl off the Grid sounds like an inspiring read with beautiful descriptions of Costa Rica. Love a feel good book. Sounds like a fabulous book. Sounds like an awesome read; thanks for the review & giveaway! This sounds loke a really sweet romantic story, looking forward to reading it. Girl off the Grid sounds like it has amazing descriptions of Costa Rica, a very enjoyable book no doubt. Girl off the Grid sounds like a wonderful read! Can't wait to gobble it up! Such a beautiful cover. I can't wait to read it. SOUNDS ANAZING, TOP OF THE LIST TO READ. I love the idea of this, being a blogger but having to go off the grid has to be challenging! Would love to get my eyes on this read. Looks like a good one! This sounds like a fun book and the cover is so pretty. I love when the main characters are so perfect for each other. Oh this sounds really good. My new years resolution this year is to slow down and enjoy each day. I cannot wait to read and see what all happens...when alone and without all the social media! Wondering what all she will find to be most important in her journey! I can't wait to read Girl off the Grid. Sounds like a really good read. Must admit I love the idea of this. Have a love for books about blogging and fashion (although can't blog and not exactly up on fashion lol). The idea of people not having the use of their phone or internet is interesting. I could live without my phone (only have it for emergencies and job-related stuff) but very lost without my internet, although it does give you the chance to catch up on important stuff like reading and housework if it goes off for any reason.